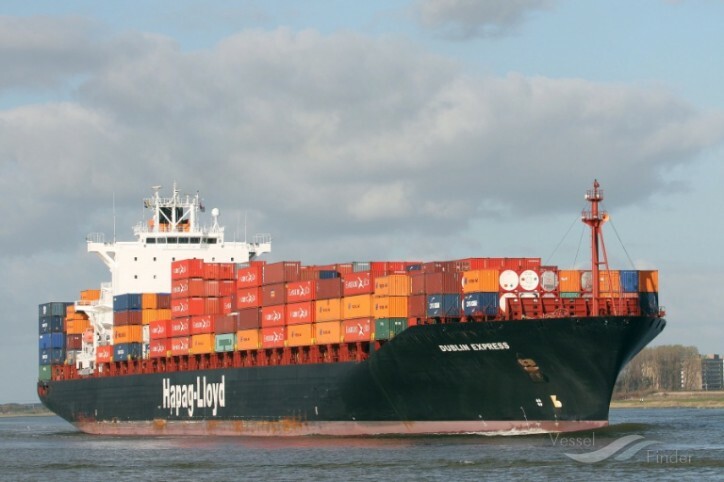 Hapag-Lloyd reports that Thursday evening (Mar28), a hole was detected in the hull of the Hapag-Lloyd container ship Dublin Express during unloading operations in the Global Marine New York Container Terminal. Fuel was escaping from the roughly 40 x 40-centimetre opening. The hole was sealed during the night. In addition, extensive containment booms were promptly set out to prevent any additional spreading of the oil and to proactively protect nearby nature reserves. The 4,120 TEU container ship encountered heavy swell while sailing from Port Everglades to New York. Together with Hapag-Lloyd, Gallagher Marine will be coordinating all appropriate measures on-site as qualified individual (QI). It is still too early to make an accurate assessment of the damage. Hapag-Lloyd is working closely with the relevant authorities and interested parties to minimise the impact on people and the environment.